This is Xinghan Luo. 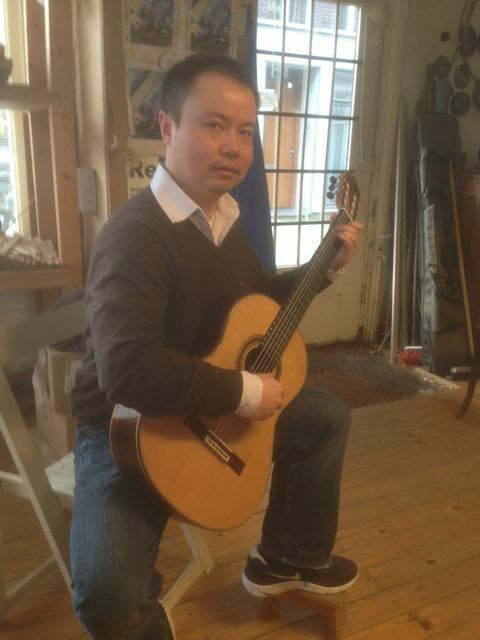 He is working as a software engineer in the Netherlands and is a real guitar aficionado. He is a friend of Cang Guang who introduced us to each other. Last week I finished his guitar which he personally collected from my workshop.